CM: We were both at the second appeal for Iyan-Tama’s case yesterday, which was postponed from Thursday to yesterday, and then the judge said it wasn’t on the list. What are the most recent developments on the Iyan-Tama case? AS: The judge has just said that we should file a fresh new appeal, which we did yesterday. So the latest development now is the constitution of the station panel, which will review the case, look at the previous judgment of the case and come out with a final verdict. Did he give a reason why he suggested a new appeal? He said that he would not like to quash the judgment already done by the previous judge. There is an element of controversy in the judgment, so he will prepare to sit a special panel of jurists. Not just a single person—but a number of judges—will bring out the actual judgment of the case. Another advantage of that is that if anything positive comes out of that sitting, there will be no case to apply for appeal for Iyan-Tama. He will just be out pending on the termination of the final judgment of the case. I was reading back over the articles from when he was sentenced on the 30th, and it said he would have 30 days to appeal, so as long as the appeal is in before the end of this month, he should be all right on the appeal, right? Well I discussed the issue with the lawyer yesterday. He said that has no impact on the constitution of this special panel. Because that is we were afraid of. 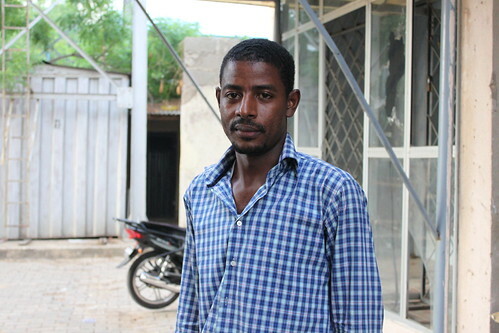 Iyan-Tama has already been almost 28 or 27 days in prison, so we have two to three days for the time to lapse. What can you say about the attack on his family? That was the night before the court case, Thursday morning, the 22nd of January. So early morning, as usual, I woke up and said my prayers. I took my children to school. Immediately I came back, I found Iyan-Tama’s family in my house, his wife, his daughter, and kids… without knowing—I thought they just came for a visit as usual. I was in a hurry to take my shower and be in the court. I didn’t bother to ask them why they were there, and they didn’t tell me. As I was going, they thought I would come back. But I didn’t come back. I just went to court. After the court, I went to the briefing. After the briefing, I was having a meeting when my wife called me and told me they were there waiting for me to tell me what happened yesterday. I said, “What happened?” So, they narrated the case to me. I rushed [home] and sat down with the daughter. She’s a grown up girl. She narrated everything from A to Z what happened, what they saw, how traumatized they were, how they were terrorized. What she was telling me was that it was around 2:15am on Thursday. They were sleeping with the light off in the entire house. They just heard somebody banging the door, getting into the room, and shouting at them. They all woke up, even the children. Immediately as she narrated this to me, I asked “Did they take anything out of the house?” She said “no.” “Was the main gate to the house open or closed.” She said it was closed with the key, and they had the key. So they jumped through the wall because adjacent to his house there is an uncompleted building, through which they could climb and have access to the house. So this is what happened. Immediately they told me, we decided to report to the police. We took them to the nearest police station to his house, where they reported, and they have assured us they have taken some measures for patrolling and investigating to find out who is responsible. Regarding Iyan-Tama’s case, I just had an interview with Malam Rabo and I asked him about three issues. I asked him about the issue of Iyan-Tama having a receipt for 2008 for the renewal of his registration with censorship. He said that the receipt was not a certificate and he needed a certificate. I also asked him about the exemption because the film had been sponsored by the U.S. embassy, and he said that you had to apply for the exemption that it wasn’t automatic and that it had to follow certain guidelines. 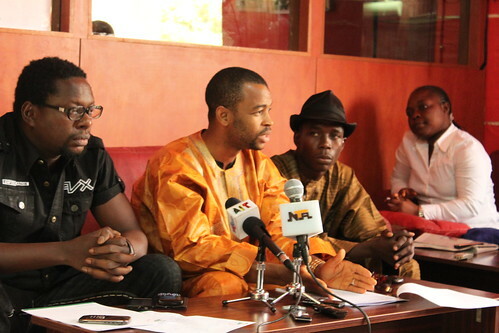 I further asked him about Iyan-Tama publically saying that the film was not for sale in Kano, even before his arrest. He said he should have communicated that directly to the board that his public statements don’t have any bearing on the legality of it. You are not Iyan-Tama, but as a representative of MOPPAN, perhaps you could speak to this? Yes, let me start with the receipt issue. 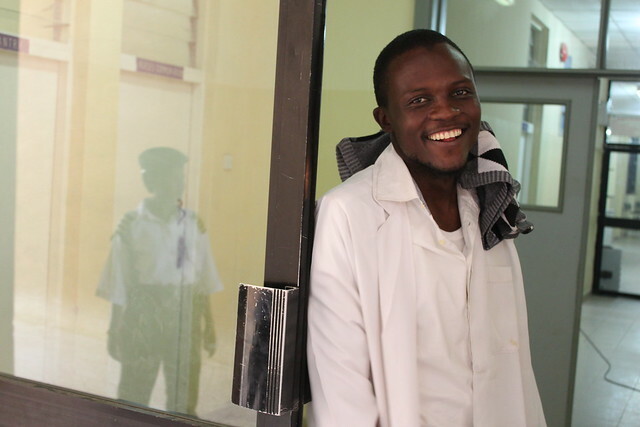 When the board announces the registration of all production companies, there are some steps to be followed, the first step of which was to go and pay and acquire a receipt of 1,500 naira, which Iyan-Tama did, which means he was in the process. He already had a file because all the filmmakers went to register for the last administration in 2005. The association took the responsibility of registering other production companies for a subsidized fee after reaching an agreement with the board, which means, since he had a registration/certificate of 2005, he has a file with all of his documents inside the file for the board. So all the filmmakers, we thought we needed to go and get the receipt. We paid, we got the receipt. It was when we got the receipt—like me it took me about four months to acquire a letter from the municipal local government. It took me some weeks to acquire a letter from my bank. So the same thing with Iyan-Tama. He was in the process of acquiring those documents from local government, from the bank, from the Ministry of Commerce. There were about 7 things you have to get ready. He was in the process. He didn’t say he wouldn’t register. Since he has the receipt it means he was in the process of registering. And unknown to many, there were hundreds of practitioners in that process, when he was caught. 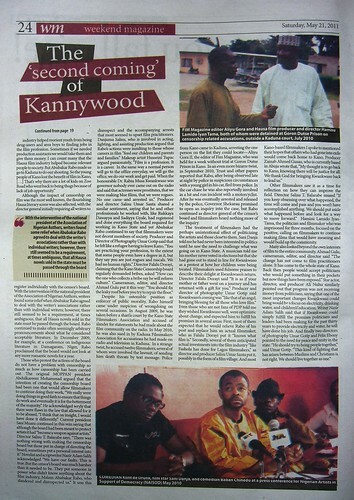 Secondly, concerning the issue of censoring the film with the Kano State censorship board. Well actually, yes, it is in the state law, that so and so categories of films, those sponsored by NGOs, by foreign bodies, by these countries belonging to commonwealth nations, should not be censored. That’s one. It’s true it is in the law establishing the board. But with regard to Iyan-Tama’s case, he had no intention—because Kano State had a ban on singing and dancing and there is singing and dancing, though moral singing and moral dancing in his film. 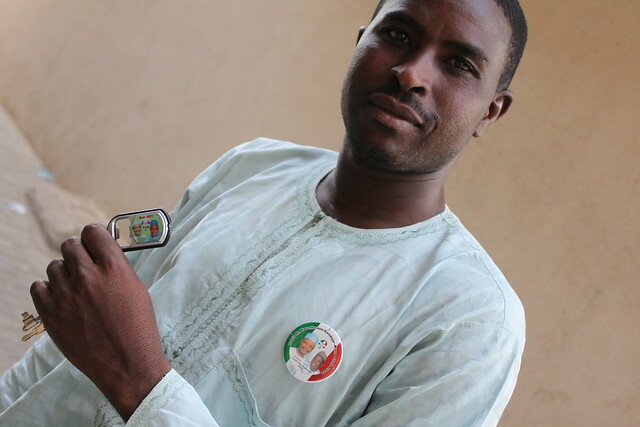 So he decided he would not sell, he would not distribute, he would not exhibit his film in Kano. He went on air, on radio stations, and on most of the newspapers circulated in Kano saying his movie is not for sale in Kano, and he did not sell it in Kano. Does that mean somebody living in Anambra or somebody producing a film in Lagos must come to Kano to register because he’s afraid his film may sneak to Kano one day. Of course not. His being a Kano man does not mean that he has no right to go out and produce his film somewhere else. That’s why I’m saying the law infringes on the fundamental human rights of we filmmakers from Kano state. Because if somebody can produce his film in Kaduna and say it is from Kaduna. If somebody from Katsina will go to Lagos and produce his film and sell it in Lagos and not be attacked, we from Kano we have no right to go outside produce our films and sell our films outside Kano? It is not violating any law. They have no proof. I was in the court. I followed all the court cases. 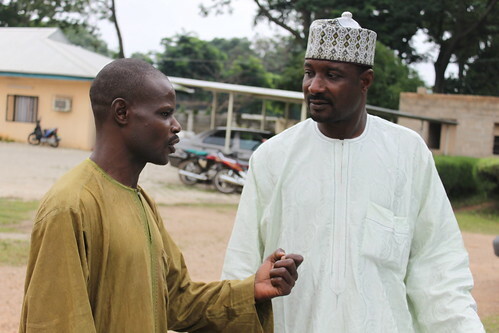 It was not proven beyond any reasonable doubt that his film was released in Kano. 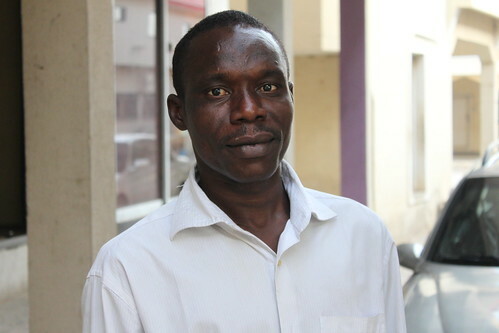 The board could not prove that his film was released in Kano. 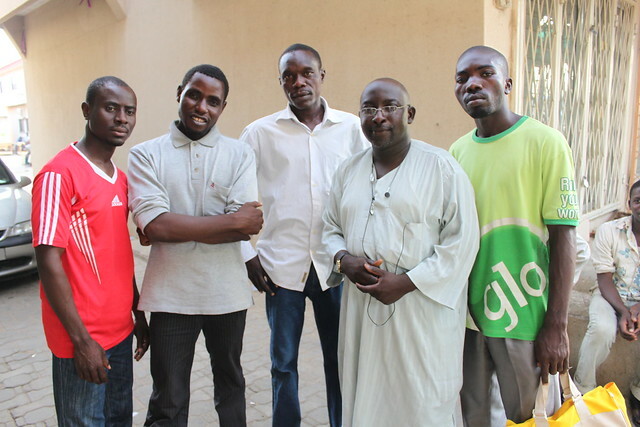 They had not any evidence that his film was released in Kano. Rabo just told me that they caught several places in market with the film. No, no, no, no. They got it only in a particular place, that was HRB, close to Government House, CD Palace [the shop attached to HRB productions]. It is there that they got it, and it was not on the counter. They had to break into a particular office. It was in a drawer, some copies. And those copies belonged to a filmmaker called Baballe Hayatu. He was the principle character of Tsintsiya. It was given to him to share with his friends, to give as a gift. It was not for sale. It was for personal consumption. I can go in my house with my wife if I like, we can watch it ourselves, in as much as I don’t bring it to the public. And he didn’t do that. His film was not in the market. There was no single marketer who went to the court and said, “Yes, Iyan Tama sold the film to me.” None. Not a single marketer said, “Yes, I got the film from Iyan Tama.” None. Go to the courts. So the case was not proven that the film was released in Kano. And Iyan Tama aired it out. 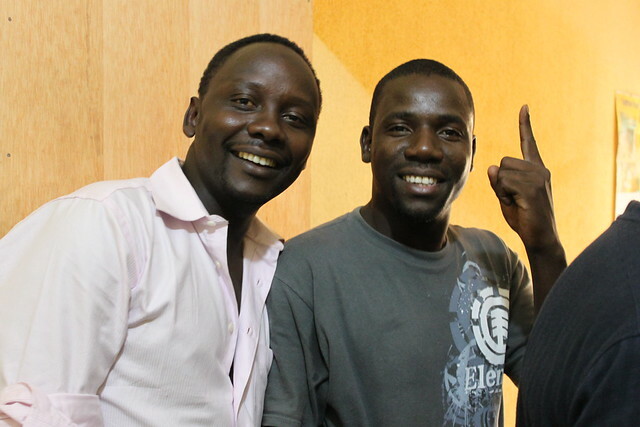 It was on the Radio Nigeria Kaduna. 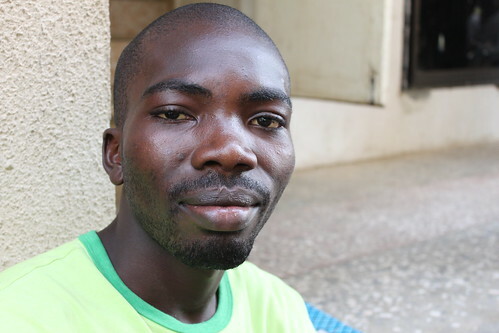 “My film will be released so, so and so date in Kaduna, it is not for sale in Kano.” That’s the second thing. And the third issue was what? He had no relation. You can only relate with the Censorship Board Kano when you have business to do with Censorship Board, Kano. Somebody who has all his artists outside of Kano, produced his film outside of Kano, refuses to bring his film to Kano, sold his film outside of Kano, what is the relationship—what business does he have to do with the Censor’s Board? Of course, none. Me, I reside in Kano, with my company in Kano, yes if I am producing a film, if I have anything to do in Kano, I have to get the final approval of the censor’s board. But he had nothing to do with the censor’s board, so he wouldn’t have written to them. Why did he have to write them? He had his information, he had his clearance from the National Film and Video Censor’s Board. So, why does he have to come inform the censor’s board that “I want to release my film in Kaduna.” Where is their area of jurisdiction? Their area of jurisdiction is Kano, right? Am I right? 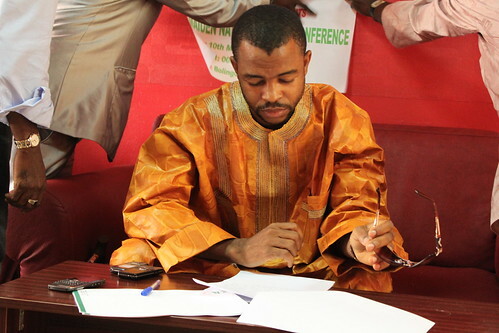 They don’t have the power beyond Kano, and he released the film outside of Kano. So, he wouldn’t have had to come inform the board, “I want to do this and that,” since he has no business to do in Kano. So I think the points given are just lacking. We followed it in the court and we understand what is going on. Of course, Iyan-Tama was termed, well is still termed, the best producer in the film industry. Because he was the only producer whose films the entire family, regardless of age, could sit and watch happily. And he has received this recommendation for quite a long time. Even the board itself gave him quite of number of awards for the nature, for the kind of films, the cultural and Islamic films he is fond of producing. And everybody, all the people of Kano, when you talk of good films, the first thing they will tell you is Iyan-Tama’s movies. Iyan-Tama’s movies are the best, Iyan-Tama’s movies are the most cultural, Iyan-Tama’s movies are the most Islamic movies. No doubt about it…. If you go and take from Tsintsiya downwards: Wata Rana, Bumi, Halak, quite a number of them. Go and take them with issues life, with issues of religion, with issues of culture, so he has been called the best producer. All the same he is now lingering in the prison, but we believe that justice must prevail. Ok, I’m going to ask you a few more general questions about the problems the film industry is facing. 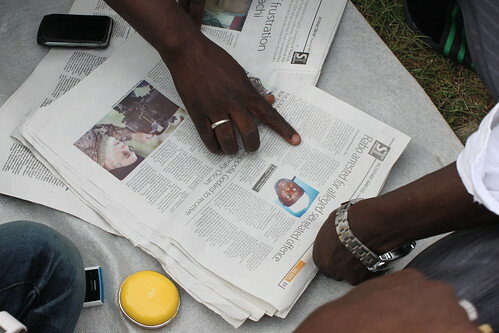 You are a part of MOPPAN, and I talked briefly to[President] Sani Mu’azu about the case of MOPPAN against Kano State. Could you just tell me a little bit more about that ongoing case? Ok, well that case is about to be over, actually it was due to the strike by the court workers that led to the delay. What principally we needed was an injunction restraining Kano State Censors Board from attacking, harassing, humiliating and imprisoning our members. We dragged four bodies to the court. One is National Film and Video Censor’s Board for issuing a license to our members which gives them the right to exhibit, to sell, and show their films throughout Nigeria, yet a particular state attacks or arrests them for doing that, and they have not come out and said anything. 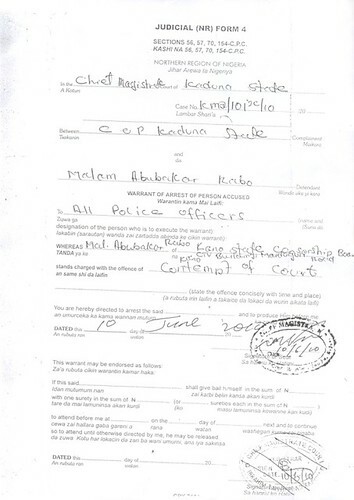 Is the registration they issue our members fake or does it not have jurisdiction in Kano? So here I’m saying there’s a clash between the national and the state jurisdiction of two boards. What we understand in accordance with discussion with our lawyers is that when there is a clash between state and federal law, the federal law takes precedence, so does the interpretation of that in the court. 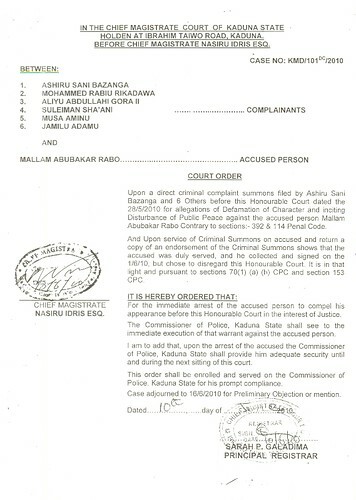 We dragged the Kano State Censors Board to court for its action. We dragged the DG of the Kano State Censor’s Board for the guidelines he issued out which we believe are quite unconstitutional. They contradict some fundamental human rights because the guidelines are too stringent and are quite unbearable. And we dragged the speaker, Kano State House of Assembly for allowing the section of the law establishing the board which contradicts national law. We need them to review the law. We have to look at the laws establishing the board because most of them contradict national laws. That’s why we dragged the four of them to the court. Could you describe a little bit what effect the actions of the censorship board have had on the industry? If you could compare the state of the industry before the Hiyana scandal and now at it’s current state, what is the difference? Well I think I even have a paper here [Screensplash September 2009] where I talked on this particular issue. The financial loss is one. 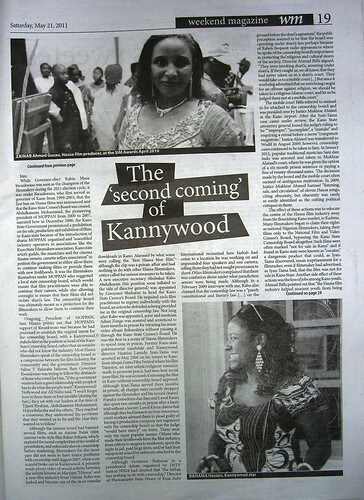 Kannywood contributes about 35% of Nollywood movies. 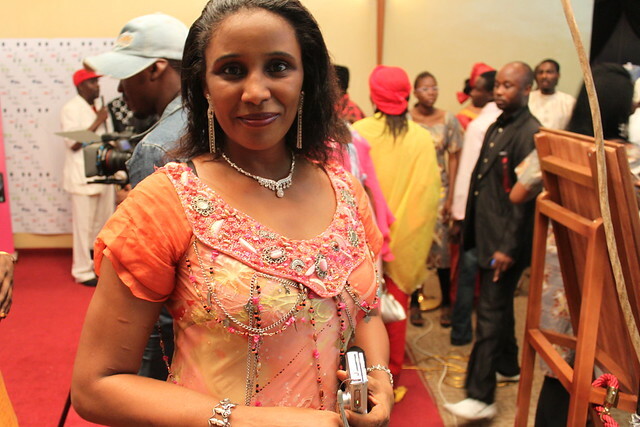 Nollywood generates, according to the report by the Central Government of Nigeria, about forty billion. Let’s say about 35% of what Nollywood makes is about 7 billion naira. 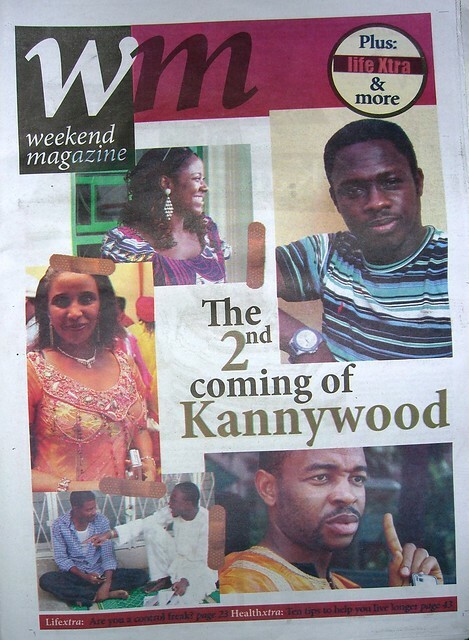 That is the share of Kannywood. That share has been lost for a good one year. People have not been going to locations. Many people have lost their jobs. Secondly, the financial strength of the industry was totally weakened. Third, some professionals in the industry have left the industry. Some sought refuge in another state. They moved out of Kano. As you can see right now, you must have seen how different the industry is in Kaduna, how different the market is in Sokoto. 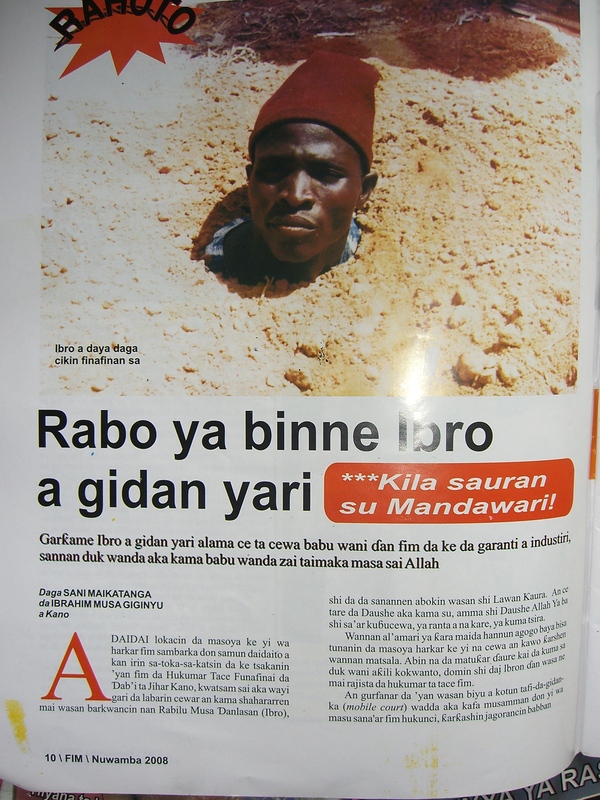 It is as a result of this ban on film locations in Kano State. All the same, we agreed. MOPPAN initiated the ban in the beginning. 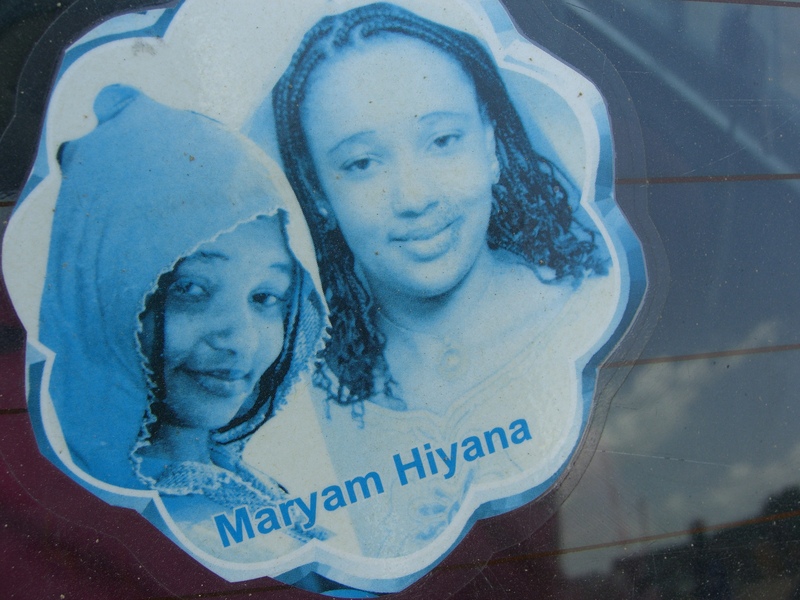 We stopped location activities for the period of three month initially when the Hiyana case happened. Because when the Hiyana case happened, the market was good, the market was moving. They were averaging 1 to 2 films a day, everyday. But now you can see that for the last few months, the marketers were telling me they spent 43 days without a single new film, and all the marketers have moved out of Kano to other states. As I was telling you, some people moved out of the state to earn their living. So why did we suspend location activities for three months? It was mainly for two reasons. One, for the protection—for the security of our members. It was when the Hiyana case happened. Clerics came in. They seized the opportunity to call for our heads, to abuse us, to expose us. We were exposed to very serious danger, and they started harassing and storming houses of some actresses, started attacking some actors in their cars. So we ordered the suspension of location activities for three months. Secondly, we find out that lack of professional ethics and lack of knowledge on filmmaking is what made Hiyana do what she did. Did she know her value, did she know the ethics regarding the profession she was engaging in? [If so,] she wouldn’t have done what she did. So we decided to use the opportunity to inculcate professional ethics into all the associations. That is what led us to form a document called the “harmonization of the film industry,” that is, every guild and association was given the objective of the association, the ethics of the association, and the goal of that association. It was that harmonization process where we gave a comprehensive detail of how to start from idea to censors board, the steps and how to follow. But unfortunately all this was not very successful, as the Censor’s board came in and increased the ban to 6 more months, that is 9 months. After nine months… now we are already into another year now. 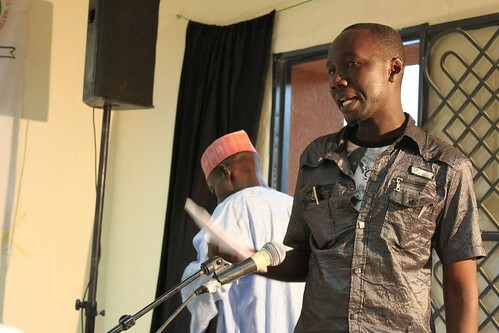 You cannot in good faith produce films in the Kano market. None. So if in two years time, the censorship board could not sanitize the industry, if you could not find films produced in Kano in the market, then what have they been doing for this long? Over a hundred practitioners got arrested, got fined. Tens of them imprisoned, those who had no money to pay. What is the improvement? 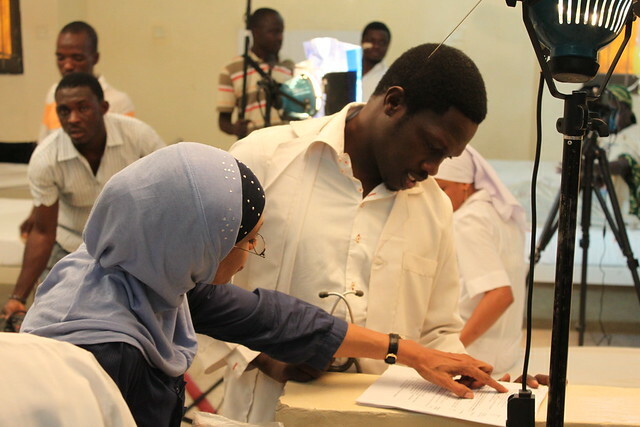 There is no life in the film industry in Kano in particular right now. That is one of the consequences. One of the accusations against the film industry which I keep hearing over and over is that the films are spoiling religion and culture, so how would you respond to that accusation? Well, let me start by giving you a little history of the situation, as a recap. Initially, we know in every association, in every business, in every organization, there are what we call quacks. We also had quacks in the industry. This industry as I keep saying was initiated by the practitioners of films. The industry is nurtured at the present level by the practitioners themselves without the hand of any individual, any government. As a result of the high level of unemployment in the society, youths seek this opportunity to join the industry in mass, most of whom did not even attend school. Some attended only primary school. Most of us were drop outs from secondary school. Some were among those who sell petrol on the street. Some were real hooligans. In fact, some were even armed robbers, in the industry. But can you imagine, they got a job! Everybody got a job to do. Those who were armed robbers, they abandoned that armed robbery, got engaged. Those who did that, they didn’t have the full knowledge of the business, but they were making a living out of it. Some bought houses. Some got married with children, right? But how could you imagine something beautiful, reasonable, sensible from somebody who has never been to school, from somebody who was never guided on how to do it, you understand me? Of course there were films that exposed our children to undesirable culture, I believe. But it was not intentional. It was because these people were not trained, they were not taught. Government did not give a damn about them. There was not any concern. That is why they produced those movies. They did it not to spoil, not to undermine, the Islamic values of our children, but this is what they could do with their lives. So what government could have done was to turn them, take them to school, give them all the support and then bring out the guidelines. But the guidelines come before the training. So our argument was, train them first, take them to the table, teach them. After knowing that, they will know what they are doing. If they had the prerequisite knowledge for making a film first, then you bring out your guidelines: “from now on we don’t want dancing. From now if you do this or that…” But without teaching them what do you want them to do? What do you want them to produce? They don’t have the technicalities, they don’t have the knowledge to produce what you dream up. And I keep saying if they were their kids they would not have sent them out of Kano. They must have trained them. If your child does something wrong, you counsel him and show him the way to do it right before you start punishing him. This is how it is supposed to be. But this is not what the government did. 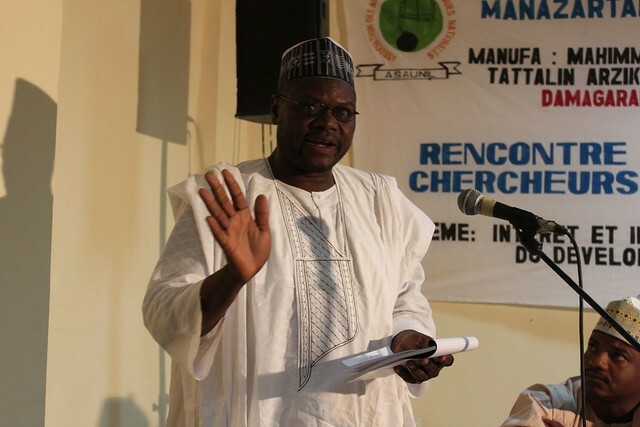 Secondly as a result of this tussle between the film industry and state government, some clerics got in and seized the opportunity to gain our pity, portraying the filmmakers as people who are fighting against Islamic values, who are against Islamic values, as people who are trained or sponsored to come and spoil the Islamic values of the youths. This is very wrong. There was never a statement, there was never a write up, there was never a comment by any official of MOPPAN. Quote me anywhere I said that we happen to be against any advice, where we happen to be against any motion that will enhance in inculcating Islamic values to our youths. Never. Never. But we are termed unIslamic. That is the propaganda in the media. In fact we were the first to go before the board and present a document on how to Islamize the movie industry. I was before the committee, before the Kano State Governor, his Excellency Malam Ibrahim Shekarau. The committee asked me what is the way forward, how do we sanitize? I said you could start sanitizing by banning singing and dancing in our movies. They asked why? I said because now quite a large number of girls from Niger, from Adamawa, from all over Northern Nigeria troop to Kano to make movies. Out of 150 girls that come to Kano to make a movie, maximum of two happen to be successful. Do you know what the rest engage themselves in doing? They said, “no.” I said, “They remain in the industry, they don’t go back to their house because there is an avenue of background dancing. So if there was no dancing, they would have no business to do. And that background dancing alone will not earn them much for their living. So they have to be involved in some risky activities to earn their living. Going for gala. Going from town to town doing gala night shows all over. But if you say there is no dancing and singing, these girls will have no where to go. At least you will decrease the number of girls flowing into the industry.” They all agreed with me. 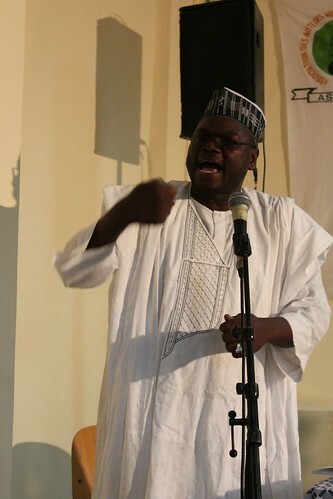 And if you need real culture to be portrayed in our films—real Hausa culture, you must stop singing and dancing. Because singing and dancing you can only be attracted in the Indian way. We have our own singing, we have our own dancing, right? But that does not attract the youths, that does not attract the women in the house, that does not attract the rural people who buy, most of those who patronize the films. So this is what we told them. There was never a time when any member of the association uttered a word which was termed unIslamic. Or we happened to fight anything Islamic. Only that the public do not understand the tussle between the censors board and the association. Here we arrived at the same conclusion. We agreed with each other, but they never informed the public about it. Our question is what is the responsibility of the association? What is the responsibility of the board? We believe the board went beyond its line. The Association is the only body responsible for the conduct and registration of its members. Not the Board. They insisted. If the Board said they had the right to register and regulate the conduct of the practitioners, then there is no association. It is only the professional association that has the right to ban the practitioner from featuring in any film, not the board, not the government. It is only the association that has the right to fine you, to license you. It is only the association that has the right to train you. It is only association that has the right to state the prerequisite qualification for being a member. Only the association that can grade you—you are a grade one actor, grade two, grade B, grade C, grade D—not the board, so really, as a result of some activities that happened during the Hiyana case, we agreed. The board can only be supporting the Association. This is what we suggested. They said no, they had to apply everything…. Let me ask a final question. There is a lot of talk about how the film industry has been bad for youth or has spoiled youth, what redemptive or positive aspect is there in the industry for young people? Of course there are quite many. 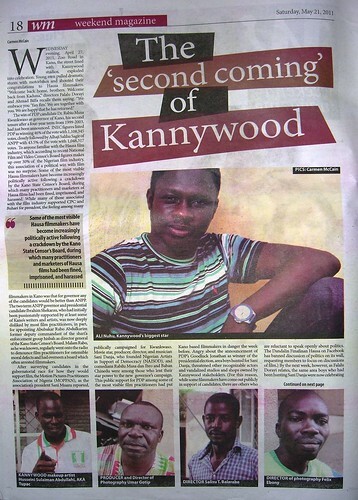 Now film practitioners in Kano are really blackpainted. People have been blocked through media propaganda from seeing the good side, the positive side of the film industry. All the announcements, all the adverts on the radio, the television, the billboards, this is on the negative side of the film industry. So I would like to use this opportunity to portray some the positive aspects of the film industry. There are quite many. First of all, there is employment. This is needed all over the world. 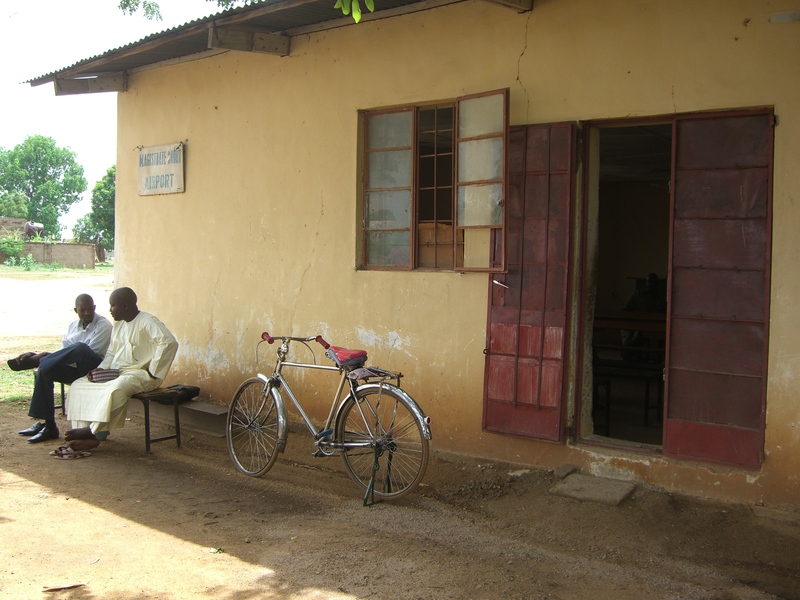 This is the largest employer in Kano state. Nigeria, in fact, it has been proven through research, that apart from agriculture, the film industry is the largest employer in Nigeria. The same thing in Kano. For you to make a single movie, about 500 people must benefit from it, directly or indirectly. According to research, it was 400, but I say it is about 500. From the idea, the script, the production, preproduction steps, those involved, postproduction, marketing, cinema shows, video, censors, printers. A lot of people are engaged. Production designers, carpenters, shops that rent clothing. There are a lot of them: restaurants, those who cook food, that is the welfare people, the transportation, drivers conveying artistes from here to there. A lot of people get involved. It is very healthy, and this should not be allowed to die. Always train the people, get the right people. Don’t bring the enemy of the industry to regulate the industry. The industry should be regulated, but we have educated, reasonable and respected people in the industry. Why can’t the government pick any of them to run the regulatory hand—that is the censor’s board. As I was telling you before, there were some people engaged in other employment, maybe those who used to sell petrol on the street. I know many of them. I know those who were engaged in quite a number of bad habits, in those professions or those jobs that are not needed by the government, that are not welcome in the society. But with the advent of the film industry, they left those professions and moved to the industry. Then, it is the avenue by which a lot of our actresses projected themselves on the screen and have got suitors, quite a number of them who got married. Some of them got married with the practioners within the industry. Some of them got married out of the industry. Secondly, I’m a living witness that the film industry, in recent history, is the biggest medium through which Hausa people, their culture and their religion is sold to the outside world. Nothing is near competition with the film industry. I was in Cannes May 2008 last year. I said I was from Nigeria. People did not seem to know I was from Nigeria. What is my language? I said “Hausa.” What is my religion? 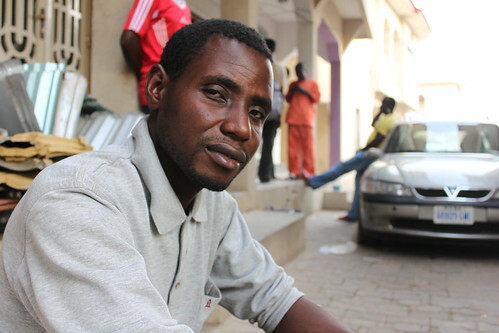 I said, “I’m a Muslim.” People could not believe there were Muslims in Nigeria because all the Nigerian films they watch are done by the Christians. I said, “I’m Hausa, I’m from the Northern part Nigeria, that’s the largest part of Nigeria.” They said, “no.” All they knew were that there were Igbos and Yorubas in Nigeria. So you can find Hausa films all over the world now, in the internet, in the market, in the shops. So I was proud to represent society, to represent my culture, to represent my people, to represent my religion. Nothing has ever done that apart from this. This is another good side to the film industry. And when you say culture, there are those movies that are really good. There are people—like when you talk of Iyan Tama’s movies, the Iyan Tama who is in custody now, when you see his movies, all his movies are great and they teach you moral, Islamic lessons, and he has been receiving commendation from elite, from quite a number of respected people in the society. In fact even censor’s board, not only once, awarded him an award for producing reasonable and very sound cultural movies. So there are quite a number of good things through the industry…. Of course I know the majority of the films produced during and after the Hiyana case were technically not very good. This is not unconnected with the financial situation we’ve found ourselves in, the economic position of Northern Nigeria. The lack of training also contributed. The average budget for a film in Lagos right now is about five million, the average budget for our film is 500,000 and you will see they have 10 times as money. I would not like to be biased with regard to the activities of the board. Really there are some positive steps taken by the board on which I would like to comment. Yeah. In the last one year, the Board has succeeded in getting almost all of the practitioners to register. That is what we are trying to do, but people were not willing to go and register. All those who registered were not willing to go out and do the registration annually with the association. Secondly you can see now. We have been trying to get rid of the problem of crowds of artists around the town, moving everywhere, displaying themselves around. That was what was happening. People are now afraid to come out and do these things. And I believe it has a sort of impact on the moral activities of the practitioners in the state. I can see that. But when you talk professionally, nothing has improved. In fact, in some instances, as far as morality is concerned, things are worsening. What is happening outside Kano now, what is happening in Kaduna and Jos, as far as moral activities, is far, far worse than what was going on in Kano. There are quite a number of positives to the industry, but people look only at the negative aspects of it. And the film being the most powerful medium through which messages can be sent cannot be neglected. 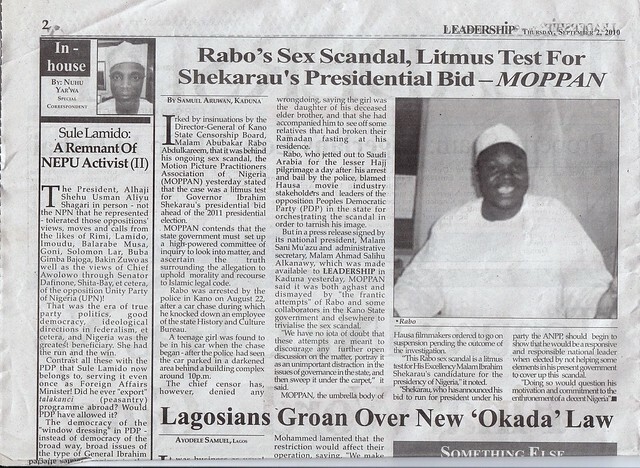 Kano State claims to be a shari’a government, right? And I tell you this, there is not any medium through which they can propagate shari’a to the people better than film. This is what I think the Government should do, to train the people, to use the medium, to sell itself, to sell its ideology. I talk with people who came when I was in Egypt last year [at the Cairo film festival] and saw how they do it. Government financed. Government trained. Government regulated. But not by imprisoning people. Not by arresting. Not by attacking. Not by exposing people to the stigma of being killed. Not by that. They have their own system. I asked them to go borrow a model from some Islamic Republics, like Iran, like Pakistan. See what they do, what they have on the ground, come argue with us and take what does not suit you out.…. Because the world has changed now. We are in the 21st century, and film is a very powerful tool. The civilized and developing nations use the film medium to send their messages, to send their ideologies, to enlighten people in whatever program they are doing. If you kill the film industry that means we don’t have any way to sell ourselves, to sell our culture, to sell our people what we are doing. So, I believe the approach and the attitude of the government towards industry needs to be checked. It needs urgent attention.